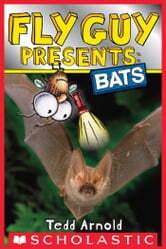 "Learn all about bats with Fly Guy! It's time for a field trip! Fly Guy and Buzz are going into a bat cave to learn all about bats. With straightforward text, humorous asides, and kid-friendly full-bleed photographs throughout, young readers will love learning all about these nocturnal creatures. Award-winning author/illustrator Tedd Arnold really brings nonfiction to life for beginning readers!"